Breakfast sausage links are produced from a blend of lean ground pork, pork fat and spices. 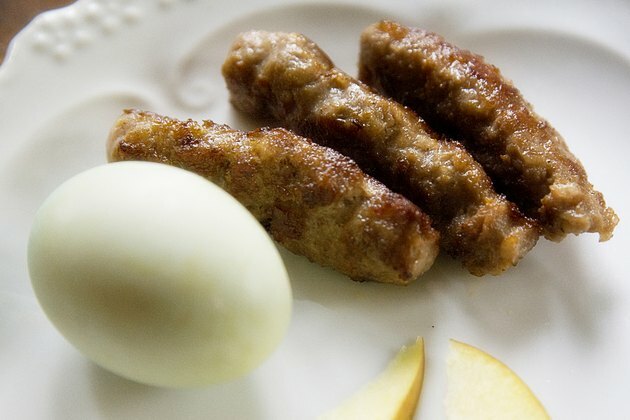 Generally smaller and milder in flavor than their Italian or Polish cousins, the sausages are sold in two forms: partially cooked that require very little cooking time, and raw uncooked links that must be thoroughly cooked. In addition to regular flavors, breakfast sausages are also available as maple-flavored and hot and spicy. 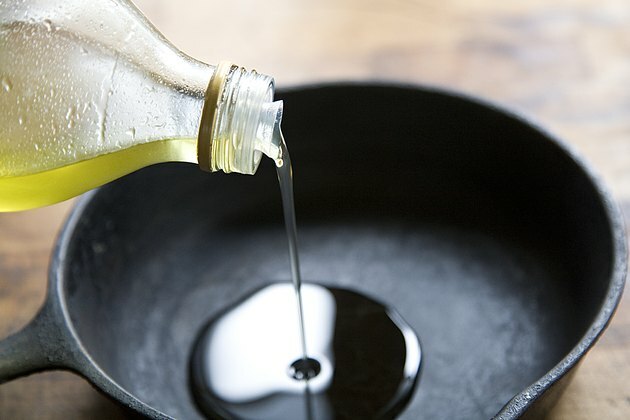 The links can be cooked in just a few minutes on a skillet on the stove or baked in the oven in roughly 20 minutes. Coat skillet lightly with cooking spray to prevent sticking and place it on stove burner over medium-low heat. 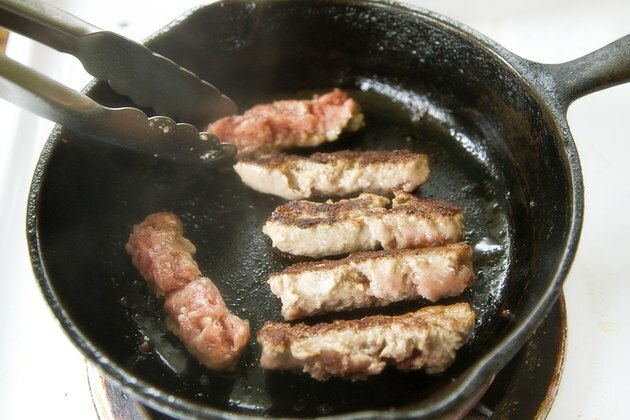 Place sausage links in the pan, allowing space between them for turning and for even browning. Cook for about 3 minutes, turning the links often to ensure crisping on all sides and until no pink color remains when you cut into the center. Cook links a minute or two longer if you like them crispier. Remove from pan and drain briefly on paper towels before serving. 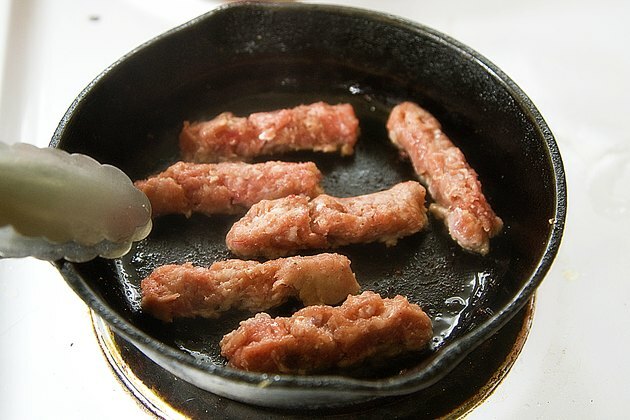 Place sausage links on a shallow pan that has been lightly coated with cooking spray, and bake at 375 degrees Fahrenheit for about 10 minutes. Turn the sausages and bake for about 10 more minutes, or until the sausages are completely cooked through. Remove sausages from the baking pan and drain briefly on paper towels before serving. Baking breakfast sausage links on a rack placed inside a jelly roll pan eliminates much of the fat, and you won't need to drain them on paper towels before serving. When baking the sausages, save on cleaning time by first lining the baking pan with aluminum foil and spraying it with pan coating before adding the sausages. 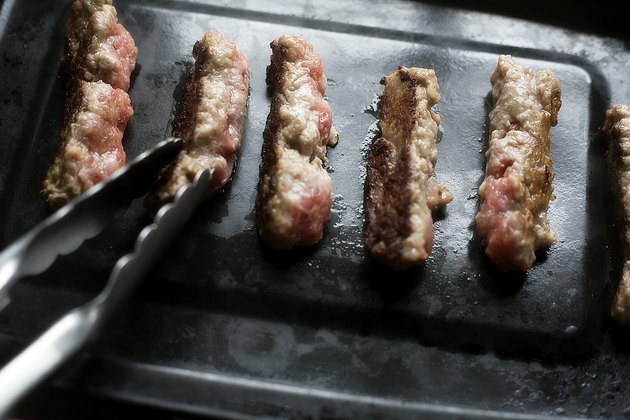 Because it is raw meat, breakfast sausage must be cooked completely through to an internal temperature of at least 160 degrees Fahrenheit. Appearance alone is not a safe way to determine doneness, so test several links with an instant-read thermometer and cook a little longer if necessary. Do not cook raw sausage links in a microwave without using a browning tray specifically designed for this purpose or the directions on the packaging label suggest it as a safe cooking method.